It's been a hot one here in the Mountain West this week. I don't know about you, but I need a vacation. Preferably at a beach. Speaking of vacations, my first feature for this week's Frugal Round-up is this darling updated guest room shared by The Heathered Nest. 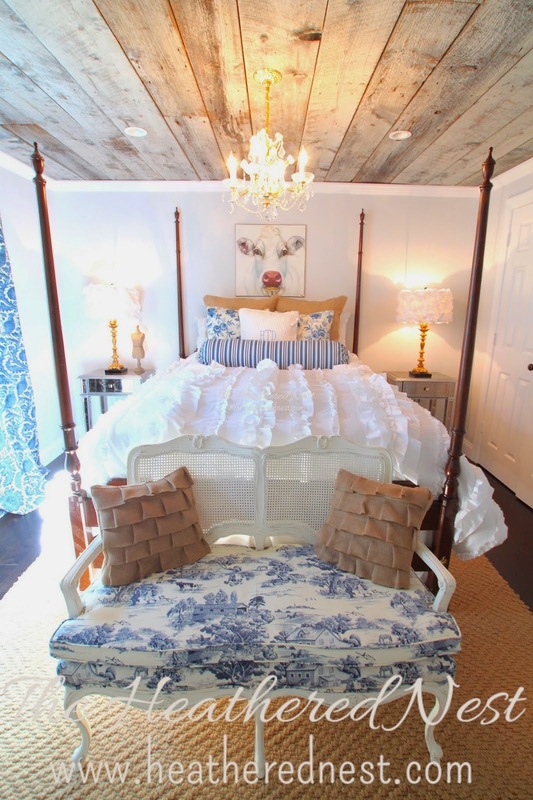 I'm absolutely smitten with the reclaimed wood ceiling! 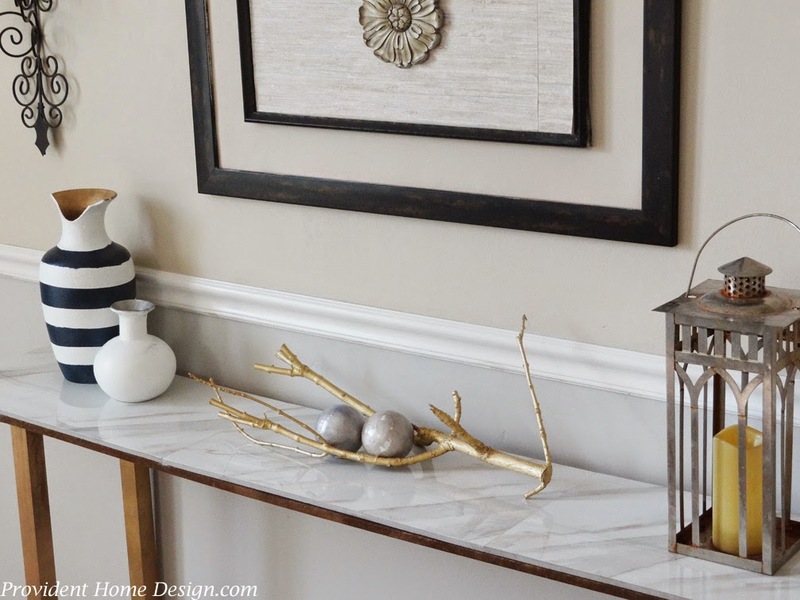 This DIY marble-top console shared by Provident Home Design is fabulous! I want one in my house!! The features are gorgeous - off to check them out - thanks so much for another party! Thx for the party, Wendy! Such an honor to be featured, Wendy! Thank you!! Thanks for hosting Wendy, lovely features! Love those features! Thanks for the party and try to find a nice place by the water to cool off! Thanks for hosting, Wendy. I love the marble topped table you featured. I have an upcoming post that includes a marble topped table that is no longer available. I am going to link to this DIY version. Love it! Ooooh! I think I am in love with that ceiling too! Love the features! Thanks for hosting! My first time visiting and linking to your party! Love what I'm seeing! Thanks for hosting, Wendy! Thanks for the party, Wendy!! !